Fairy tale elegance in the stunning Paris tulle bridesmaid gown. 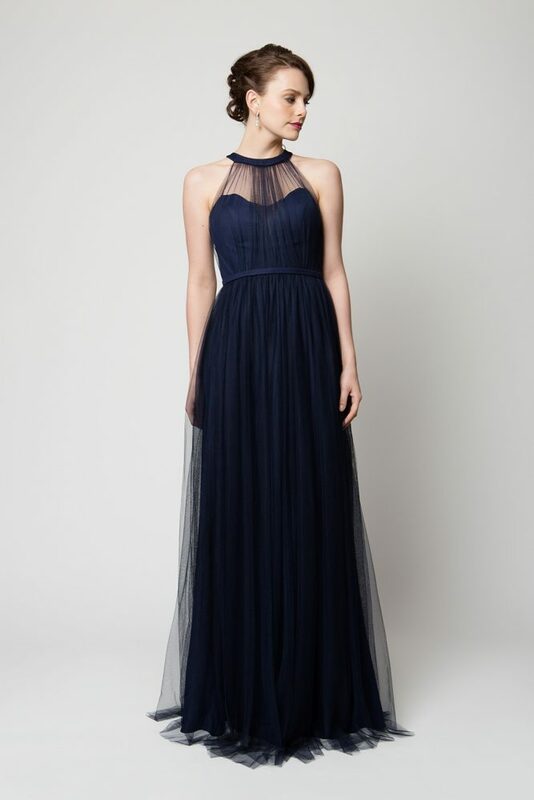 Featuring sheer soft tulle gathered to the statement round neckline, delicately over a structured sweetheart bodice. The show stopper back is designed as an open keyhole style and semi-low back with a fitted waistband for a flattering shape. The soft floaty skirt is finished with an invisible zip for a smooth closure. Fairy tale elegance, the Paris bridesmaids gown is light modern bridesmaids gown. 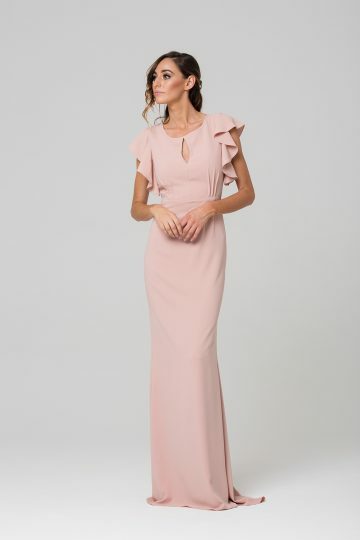 The pretty design of this style also makes it a beautiful formal, or evening gown. The gowns cut and design is flattering to a variety of shapes and sizes (6-30). To identify your size see your nearest Tania Olsen Designs stockist and they will correctly measure you and assist with selecting your size.